Also, we do apologize to some of the drop-off sites if you’ve experienced some hiccups as we’ve been learning new processes and had to change harvesting & drop-off days!! It has been stressful on our part, as well. Farmer Kohei wants to ensure a pleasant experience for all with Movement Ground Farm (MGF)… while being made up of few paid staff and a part-time volunteer crew, Farmer Kohei is trying his best to make it run smoothly. Please bear with us and we hope you find your support in MGF’s produce and vision is worthwhile! First, a BIG MGF WELCOME to a handful of BRAND NEW “Founding Member” CSA supporters from the past couple weeks!! Farmer Kohei appreciates the love and excitement people have expressed over this new and community-focused vision for a farm and retreat space. Yay new members! Second, since Friday, July 10th, we’ve been present at the Revere Farmer’s Market!! 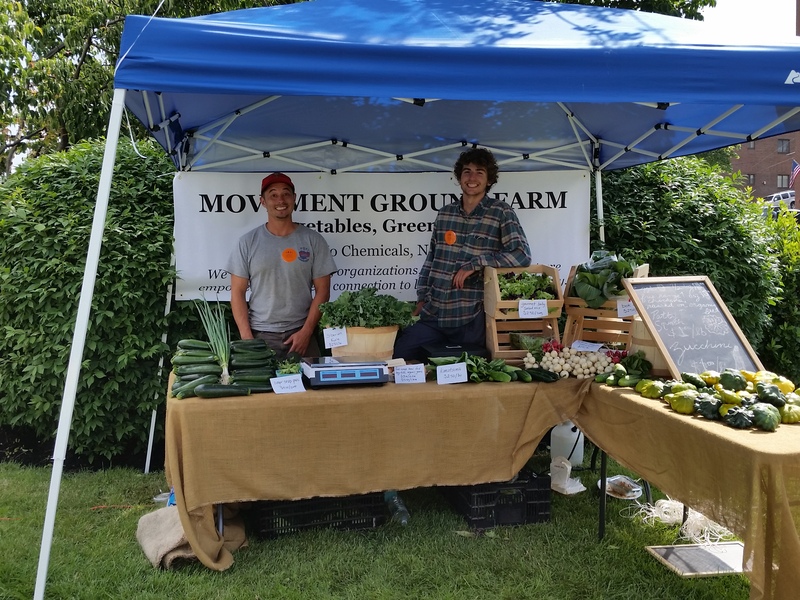 We have been able to begin sharing our bounty with a couple of our Revere CSA members utilizing this farmer’s market as a drop-off site for them (our CSAs now reach as far north as Revere, MA and as far south as Providence, RI)! For anyone who happens to be in the Revere area or know of folks who are, tell them to visit our table at the farmer’s market every Friday from 2-6:30pm. It’s located at 249 Broadway in Revere, MA (near Revere City Hall and on the lawn of the American Legion Hall) and will be running through October 2015. CSA shares ready to go to their new homes! 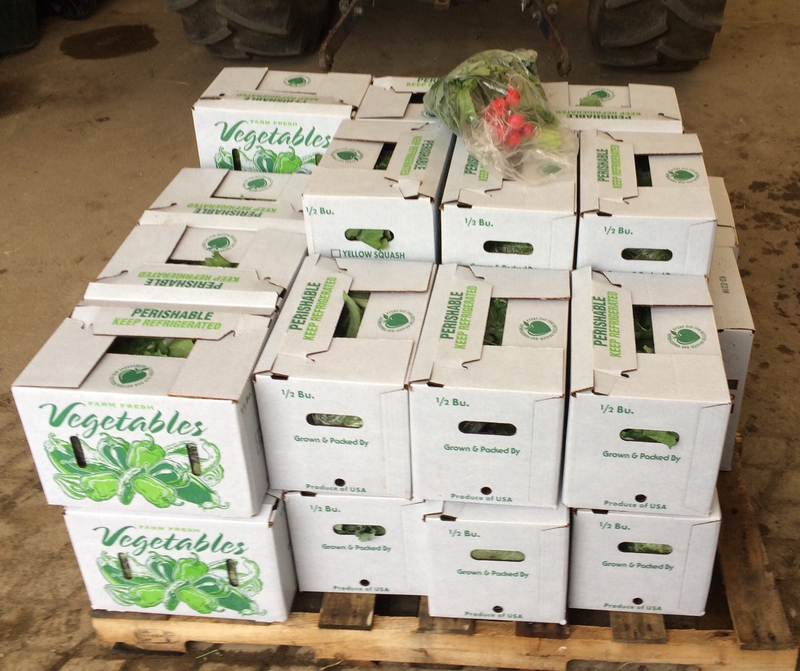 For new members, these waxed vegetable boxes in which your CSA produce will be packed in, will be in use throughout the season so please treat them gently. To open, slide out the lid labeled “Perishable” (do not pull, it will give with some finagling and becomes easier after some use). Feel free to bring your own reusable bags to pick up and pack your produce so you’ll be able to leave your box at your “drop-off” site and won’t have to remember to bring them back the following week. Other members, you know the deal.. Please continue to return the CSA boxes from the previous week(s) when you pick up your CSA shares, and please treat the boxes gently! … ANNDDD a BONUS: some Sapporo chili peppers! Take a look at this week’s bulk specials all for $5! 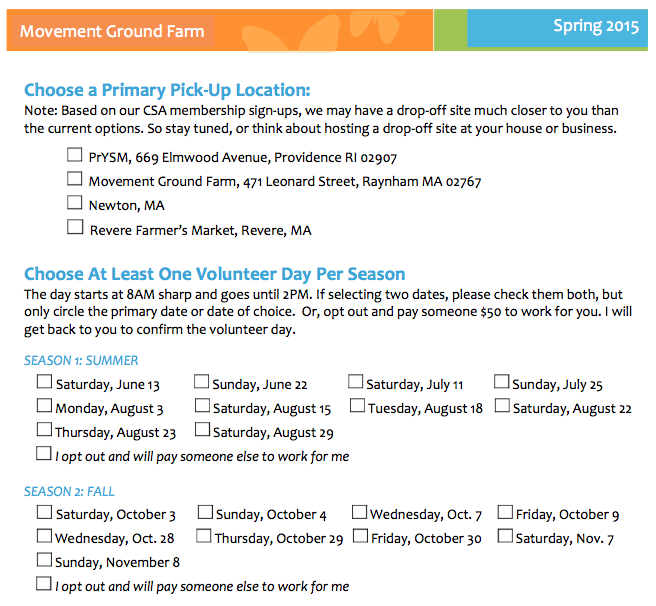 Contact us at 617-863-SOIL or MovementGroundFarm(at)gmail.com by noon 7/21 if you’re interested (if you’re our Revere CSA folks, contact us by noon 7/23). 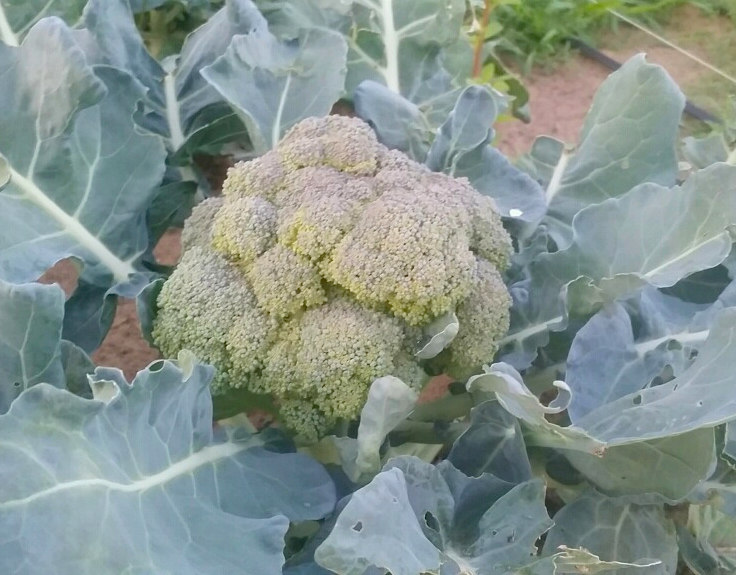 Just let us know how much of which bulk order special you’d like (have money ready in an envelope with your name & order written on it when your CSA is dropped off on Wednesday, 7/22/15). You’ll get two pints of our snow peas (try recipe idea #2 with these). Great for sautéing or in stir fries! 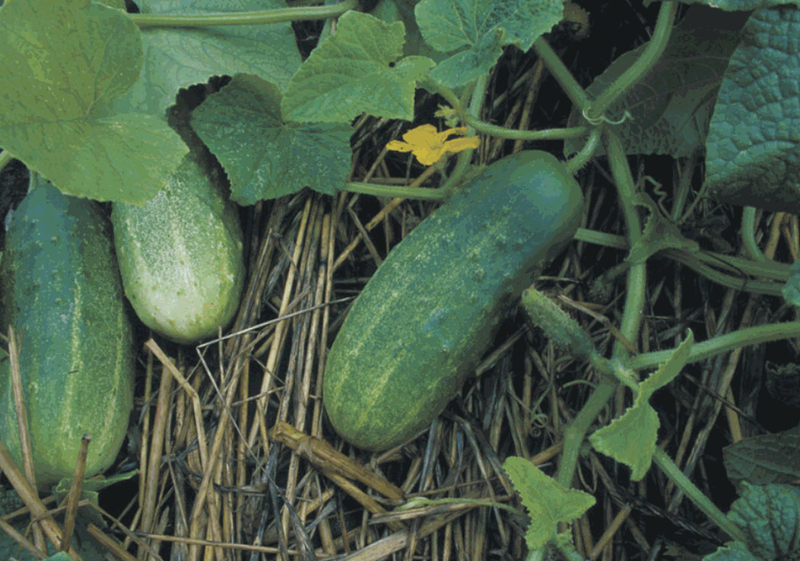 You’ll get 12 of our pickling cucumbers for $5 or 24 for $10. Make pickles or a cucumber salads. If you were a fan, you can order last week’s bulk specials...!! If you enjoy cucumbers, you can always eat them raw and pair with your favorite dip. But here’s a refreshing sweet & sour salad recipe using your English cucumbers in a Japanese-inspired cucumber salad (*note: if you don’t have sesame seeds but have sesame seed oil, use that; taking out the seeds of English cucumbers isn’t necessary.. it takes an extra step and why waste the juicy core?). A vegetarian & vegan recipe idea using sugar snap peas and served over tofu and a soy sauce dressing (you can skip the scallions; try substituting with a teaspoon of garlic or small shallot or go without all together). Or slice it thinly to top off salads. Try some of these recipe suggestions for Napa cabbage! Use it as you would the European cabbage, though the leafy parts are much softer and tender (slice into salads!). Steaming or very quickly boil the leaves (try cutting in half or thirds for more manageable portions) and use it as a wrap–i.e. for fresh summer rolls, in place of tortillas, or pita. If you’re adventurous, try making kimchi (or kimchee), one of the very quintessential fermented, pickled Korean side dishes that packs some heat. Once made it can keep in the fridge for a while and can be eaten as is or cooked into soups or fried rice! (*note: the two above recipes are not vegetarian as it relies on fermented shrimp and fish sauce as its base, try a vegan recipe and let us know how it goes; also, ingredients like the radish and scallions may be skipped, it’s just one of those ingredients that is often paired with kimchi). 4. Thai basil is a fresh herb that is common in Southeast Asian cuisine. Try using it in place of sweet basil (as that often used in Italian cooking), top off pretty much any dish with some slices of the fragrant herb for some bright notes, roll into tacos or fresh summer rolls, slice up and sprinkle on top of soups…even your instant ramen or other noodle soups. You can make fried rice and cook slices (or whole leaves, your choice) of the herb into the dish at the very end. 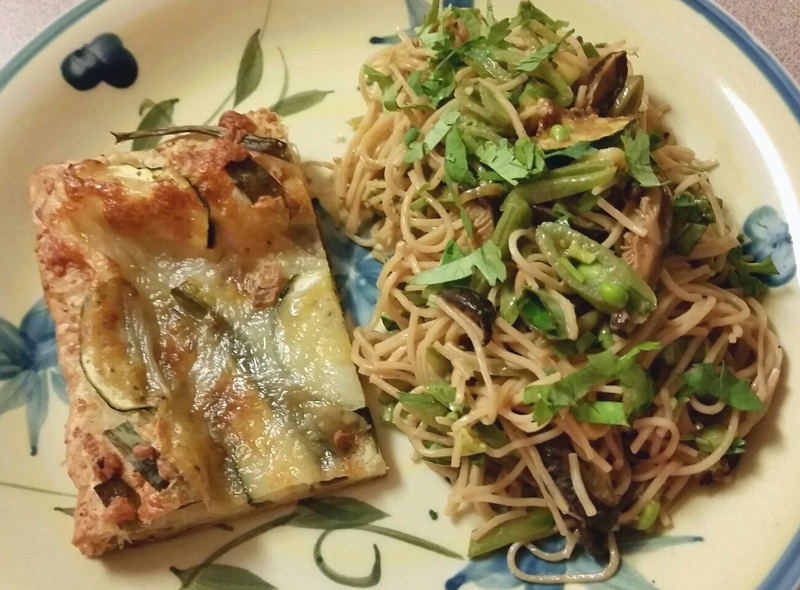 I added it sliced into a cold, peanut noodle salad and it certainly added a subtle, herby freshness. 5. Well… you kinda know and are familiar with broccoli and carrots. Sauté broccoli stems and florets into a stir fry or keep it simple with only oil and garlic, cooking under high heat really brings out a sweetness to it. Or rinse and cut up into finger food portions to eat raw and pair with your favorite dip (try salad dressing, hummus, or sweet sour sauce). And though these carrots may be a little different in color, it’s the same carrot that can be cooked or eaten raw like its more orange counterpart. 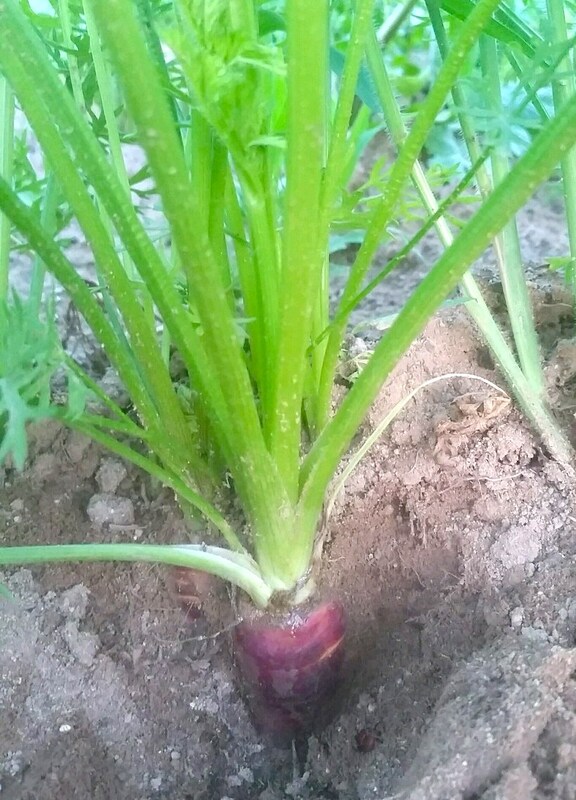 But how COOL is it to see a purple carrot!! Add some color to your plate with these. 6. To use your Sapporo chili peppers, it may have more of a dramatic heat to it than some jalapeños, but if you don’t mind some heat use it as you would any other chili pepper (add into a chili–as in meat and bean chili, grill or roast to bring out some of its sweetness and eat it as a side dish if you can handle it, puree into a home made, hot chili sauce or salsa). 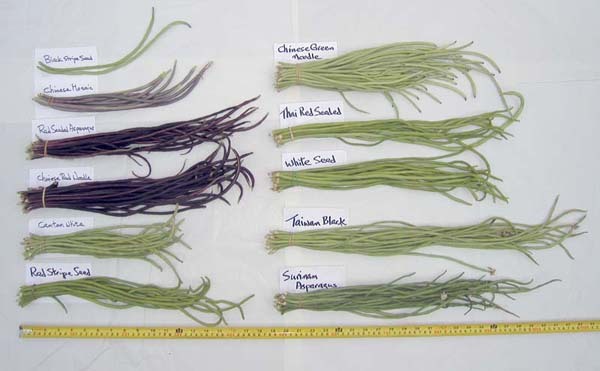 If you want to take away some of the heat, carefully slice and and cut away the light colored vein and seeds. (*WARNING: if you’re not used to it or for your safety, wear gloves when cutting chili peppers as the oils from it often stay on your fingers/hands even after washing… believe me, I’ve learned the hard way when removing my contacts! OUCH..).